When the summer months come to an end, and the crisp air of fall begins to arrive, apple picking season isn't far away. Apple picking is a popular activity all around the United States, but New York is widely regarded as one of the very best locations for apples in all of North America, with plenty of different varieties of apples being found all around the state including McIntosh, Golden Delicious, Braeburn, Fuji, Gala, Red Delicious, Empire, Crispin, and others. When it comes to apple picking in New York, Warwick is one of the very best places to be. This town is even home to an annual food festival called Applefest, held each year in October and consistently ranked as one of the most popular family events in all of North America. There are plenty of great orchards and farms all around Warwick, NY and the surrounding area, and this is a top location for apple picking in New York. The apple has even been the official state fruit of New York since 1976, with an apple muffin being the state's symbol since 1987 too. New York is the second biggest apple producer in all of the United States, with almost 700 commercial apple farms found all around the state. New York apples are used in all sorts of recipes and productions from apple sauces and pie fillings to vinegar and jellies, so it’s no surprise that people come from far and wide to do some apple picking in the state of New York. One of the top-rated apple picking sites in Warwick, NY, Masker Orchards has been offering apple picking for over a century now and offers a pristine, peaceful slice of nature for friends and families to enjoy. It's an idyllic location and a big hit with families, with pony rides and baby animals to see, as well as 200 acres of apple trees to roam around. Apple season usually runs from early September through to mid-November, with free admission, parking, and apple picking bags. Guests are even encouraged to eat as many apples as they like while walking around for free! One of the most popular orchards in the Warwick area, Ochs Orchard offers apple picking and a farm market selling plenty of fresh produce. Apple picking at Ochs Orchard usually runs from late August through to October and is fun for people of all ages. This orchard only accepts cash for apple picking, but an ATM is provided. Highly popular with kids, Pennings Orchard runs apple picking from late August onwards from 9 am to 5 pm each day. This orchard has the distinct advantage of providing a lot of different apple varieties, including Roma, McIntoch, Gala, Ginger Golds, Daybreak Fuji, and others. There are over a dozen different apple types to pick at Pennings Orchard, as well as farm animals to meet. For a pure and fun apple picking experience, Pennings Orchard is a great place to go. With eleven different apple varieties to choose from, including Gala, Empire, Fuji, and Golden Delicious, Apple Dave's Orchards is another popular apple picking spot in the Warwick, NY area. Live music, herb gardens, kids' activities, and delicious apple donuts are just a few of the bonus treats visitors can enjoy when stopping off at Apple Dave's. Apple Dave's offers fully free parking and admission and has been family-owned and run since 1949. It's one of the sweetest spots in the Warwick area and a surefire hit with visitors of all ages. A quaint little orchard surrounded by stunning scenery, Apple Ridge Orchards offers apple, pumpkin, and peach picking at various times throughout the year, with apple picking season starting off at the beginning of September. Apple picking can be enjoyed at this location from Thursday through to Sunday each week and throughout all holidays. 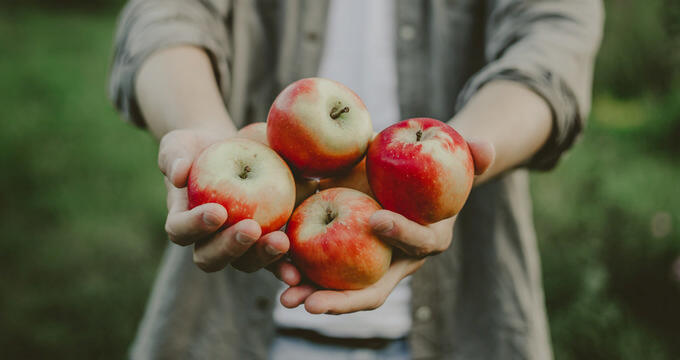 There are over 20 different apple varieties to pick at these orchards, so no matter what kind of apples you like the most; you're guaranteed to have a great time at Apple Ridge Orchards.